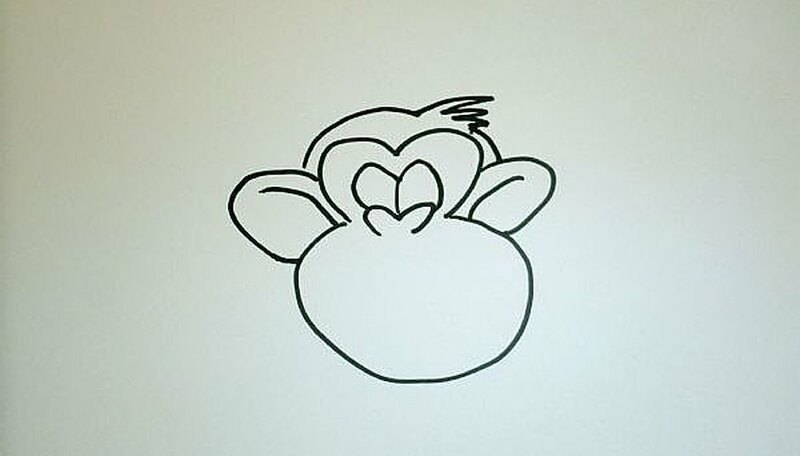 Gather up your art supplies and follow these simple step by step instructions to draw a cartoon monkey. 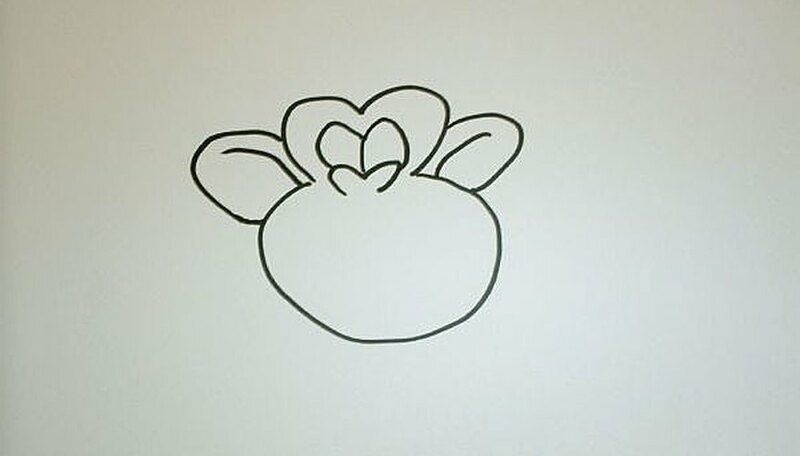 To draw a cartoon monkey, first draw a line that looks like the top part of a hear (without the pointy bottom part). 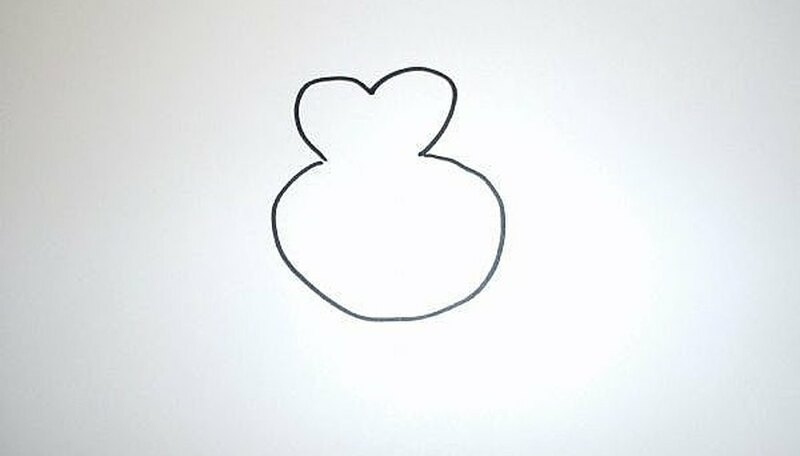 Next, connect a circle to the open end. 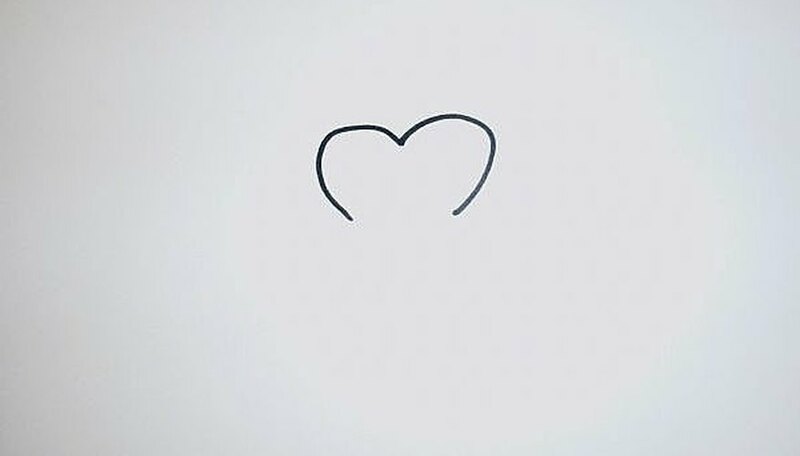 Now add another smaller heart shape in the middle. This will be the nose. 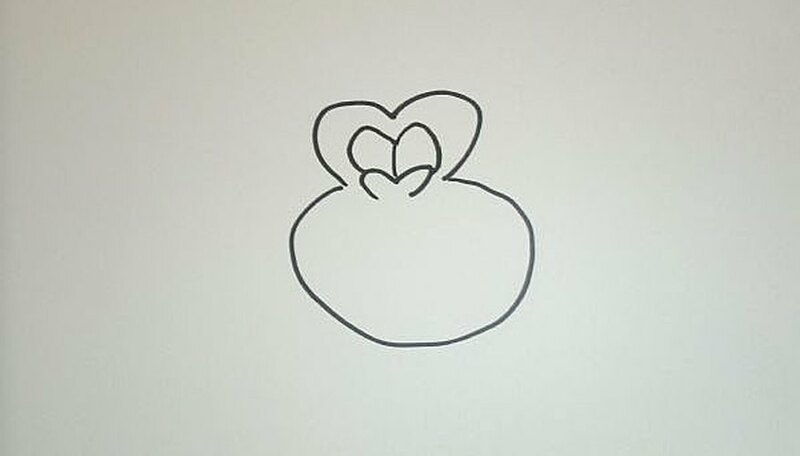 Next, draw two egg shaped eyes attached to the top of the nose. 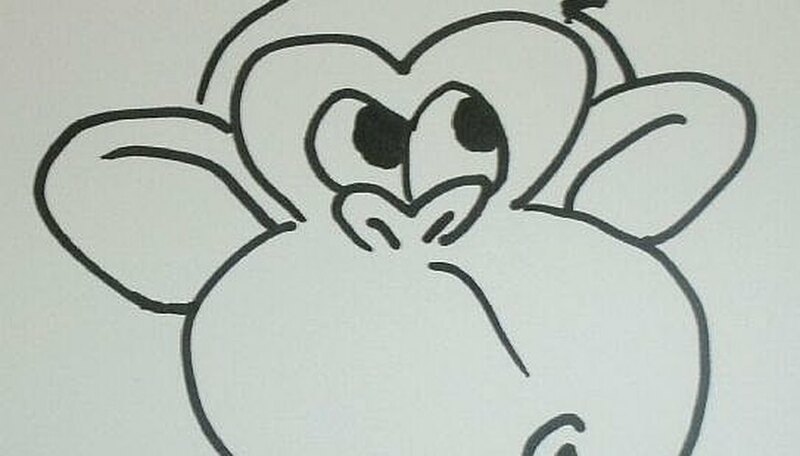 Now add the ears by drawing a round shape on each side of the monkey's face. 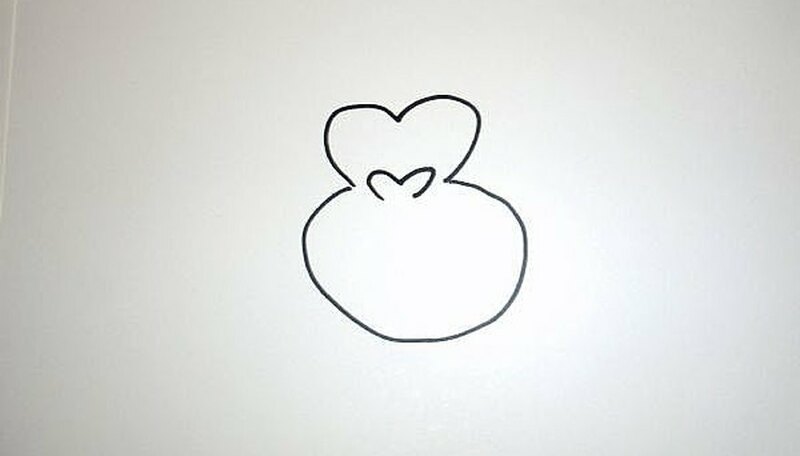 Add detail by drawing a curved line inside the ear, but stop before you get to the outer edge. Now draw a rainbow from one ear the the other, adding some zig-zag lines somewhere for some hair. Now add the rest of the details: the mouth, the nostrils, the pupils, and the line on the face. You did it! Great job. Now you know how to draw a cartoon monkey! Keep practicing! If you have any bananas nearby, hide them! It's not a good idea to have bananas laying around when you draw a cartoon monkey.